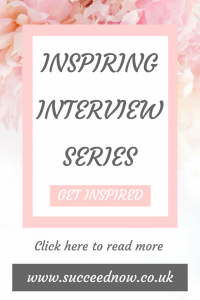 Today I have an inspiring interview for you from Susan Peck of Call To Excellence. Hi! 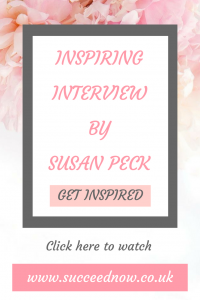 I’m Susan Peck, I’m a Life and Success Coach. I write and speak on the topic of excellence. I’ve been committed to personal development ever since I discovered the word “arête” when I was in high school. It’s a Greek word that means excellence. More specifically, it refers to the fulfillment of purpose and living up to one’s highest potential. That sounded like a pretty worthwhile goal, and it set me on a path of discovery that has continued throughout my adult life. I’m most interested in understanding what makes those individuals who achieve extraordinary results and embody excellence different from the majority of people who drift through life, with big dreams that stay trapped inside and potential they never fully tap into. What I’ve learned is that those super-achievers aren’t superhuman. They’re really no different than the rest of us. They’ve developed certain habits and mindsets that when applied consistently, coupled with their unique set of innate talents and dreams, and combined with hard work and persistence, produce the extraordinary results we all admire. The great thing is that it all comes down to habits and mindsets. We all have the potential to create extraordinary results in our own lives. We are all born with the capacity for excellence. My mission is to help people create the personal and professional success they desire, based on their individual dreams and passions. Using their own unique gifts, talents, and strengths, by integrating the habits and mindsets of excellence into their own lives. What is your morning routine? How long have you been committed to this? What have the results been? I must admit, this is a work-in-progress for me. I’m not a morning person by nature so getting up and going can be a challenge some days. But I do know that the way I start the day has a huge impact on how the rest of my day goes, so I’m working on developing more of a routine. The main elements I try to include are: reading something that will help me to improve myself or my business while savoring a cup of hot coffee. Listening to an inspirational or educational podcast/video while I’m getting dressed. Reviewing my top priorities for the day and meditating. Depending on my schedule, I try to squeeze in a run a few days a week. And the next habit I’m trying to adopt is not checking my email and social media before I start my official work day. It’s easy to get distracted by these activities. I find I’m much more productive if I save scrolling until later in the morning. What I’ve noticed is that when I stick to my morning routine I feel more focused, organized, confident, capable, and inspired as I start the day. Things seem to go more smoothly for the rest of the day. When I get distracted or rushed and don’t follow this regimen, my day feels off-track before it even starts. I then spend the rest of the day trying to get back on course or catch-up. Do you have any personal development habits? How often do you use these? How have they improved your mindset? Of course! My ‘master habit’ is a commitment to continually work on improving something about myself or my life. Hall of Fame basketball coach Pat Riley once said. I’ve tried to make this motto a theme in my life. I’m always asking myself what the one thing I most want or need to improve next is, and then I’ll tackle it using either a microresolution or a kaizen approach (small incremental steps). Read: Using Kaizen to Sneak Past Your Brain’s Fear Radar. In this way, I feel like my life is on an upward, positive trajectory. I’m always in the process of becoming a better version of myself and moving closer to my goals. I’m a big believer in ongoing learning, so I have at least one book going at all times. It can be something on personal growth, success and achievement, productivity, spiritual development, or even a biography of an inspirational person. I read every day, so I am continuously adding to my knowledge and discovering new strategies to help me move closer to my goals. This also helps me to trust that no matter what challenges I face, answers are out there, and I can find them. Podcasts, videos, and audiobooks are also great for this purpose. Another habit I adopted this year is doing something outside my comfort zone as often as possible, even daily if I can. This can be something small, like driving a different route or checking out a new store. Or something big, like confronting a deep-seated fear. For instance, I tackled a high-ropes obstacle course to face my fear of heights. I navigated my way around a big city in a rental car to overcome my fear of getting lost. I’m loving this new habit, because it’s made a huge impact on my mindset. Every time I do something scary, it boosts my confidence. It makes me realize I’m capable of much more than I thought. Even those smaller steps outside the comfort zone train the brain to get used to being uncomfortable. If you want something in life that you don’t already have, you’re going to have to endure some level of discomfort to get it. What is your number one tip or personal development resource recommendation? My number one tip is to commit to the pursuit of personal and professional excellence by developing a habit of continuous, consistent improvement. Get in the habit of asking, “What can I do better today than yesterday, or this week compared to last week?” Focus more on who you need to become to reach your goals. Then develop the right habits and mindsets, and the results will take care of themselves. Don’t discount the value of taking small steps in the right direction. The smallest step can be the key to changing your entire life because it gets you moving on a new path. Two books that have been very influential in my journey are. “One Small Step Can Change Your Life – The Kaizen Way” by Robert Maurer. “The ONE Thing: The Surprisingly Simple Truth Behind Extraordinary Results” by Gary Keller and Jay Papasan. Where can we find your website and social media? You can connect with me, learn more about the habits of excellence, and get tips on how to integrate these habits into your life through my website and blog or follow me on Facebook). Wow! I wish I could have a morning routine like that–it sounds so relaxing. Very good advice and inspiring read! Morning routine is so important, I am a mom of 2 high schoolers and boy was I glad when school started back because in the summer, it’s so easy to get lazy, have no routine, and hence not accomplish much at all. I like to be organized and sticking to a routine really helps. Every time I try and wake up early so I can get a good morning personal development routine in place, my kids just wake up even earlier and start demanding breakfast. 🙄 I’m working on myself all the time though. Thank you for the inspiration. A very interesting read. I used to live in Australia and had a very good morning routine but since a year I live in France and I can’t do what I used to do. I am in the ‘learning’ process of recreating a new routine. A morning routine is SO vital! !